Birgitta Gatersleben is a senior lecturer in Environmental Psychology at the University of Surrey. As co-investigator with CUSP, she is examining the social and psychological dimensions of prosperity, exploring how people can live well with less. 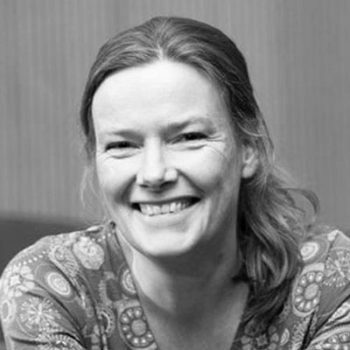 Birgitta is an environmental psychologist with a particular interest in understanding how interaction with the material and natural world influence people’s wellbeing and environmental quality. Much of her work aims to contribute to the development of evidence based policy and is part of multidisciplinary projects such as RESOLVE and SLRG, which examined sustainable lifestyles; and REDUCE, which studied the role of technology in reducing energy use in the home. Birgitta is the programme director of the MSc in Environmental Psychology at Surrey, bringing together people from different disciplinary backgrounds to gain an understanding of people-environment relationships. Birgitta is part of the S1 theme examining the social and psychological dimensions of prosperity exploring how people can live well with less. Murtagh, N., Gatersleben, B., Cowen, L & Uzzell, D (2015). Does perception of automation undermine pro-environmental behaviour? Findings from three everyday settings. Journal of Environmental Psychology, 04/2015; 45. Gatersleben, B (2012). Measuring pro-environmental behaviour. In: L. Steg, A. Van den Berg, J. de Groot (eds). Environmental Psychology, an Introduction, Chapter 13, 132-140.